Subwoofers, perspex, ceramic, low beat frequency audio track. This work is an exploration of the potential for Eurocentricity to become destabilised in contemporary racial conversations. I am using a plate, broken into pieces to speak to the reconfiguring of the historical consumption of the ‘Other’. 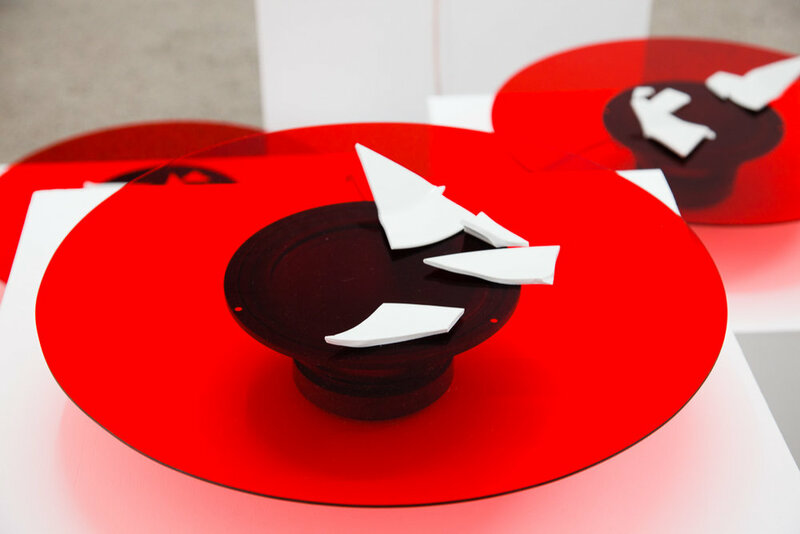 These shards are placed on the red perspex discs and vibrated by a very low frequency, creating a secondary aural experience that is initially impacted by the subwoofers below. I am using very low frequencies as they require a higher level of active listening on behalf of the viewer/listener.